Almost everybody knows who Lord Horatio Nelson is: he won the Battle of Trafalgar; he lost an arm and an eye; and he said "kiss me Hardy" moments before his death. There is even a famous memorial of him in the streets of London. Yes, you are right, it's the monument in Trafalgar's Square, whereby perched on top of this column is a statue of Horatio, looking dead heroic as how people often portray him to be. But what about his scandalous relationship with Lady Hamilton? 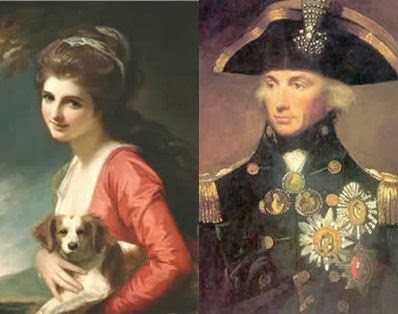 His relationship with Emma, Lady Hamilton was a very infamous one when he was alive, and the British government tried to quell this issue, because back then, his affair with Lady Hamilton had made Lord Nelson a laughing stock. An extramarital affair is an embarrassment and the people wanted to remember Horatio winning battles, not running around after Lady Hamilton. You don't want the man who is the epitome of heroism to be remembered for his "silliness" too now do you? Two warring nations. Two ambitious arch-rivals. A resourceful military advisor. A beautiful female spy. Add them all up together and you have the perfect plot for a drama. Throw in some special effects, some intrigue and romance, some snappy conversations, a Cold War background, and you have a Hollywood blockbuster. But no, none of these happened in the West, nor did it happen in recent times. To appreciate this story fully, let us go back to the Dynasty of Warring States of China, around the years of 476BC-221BC. 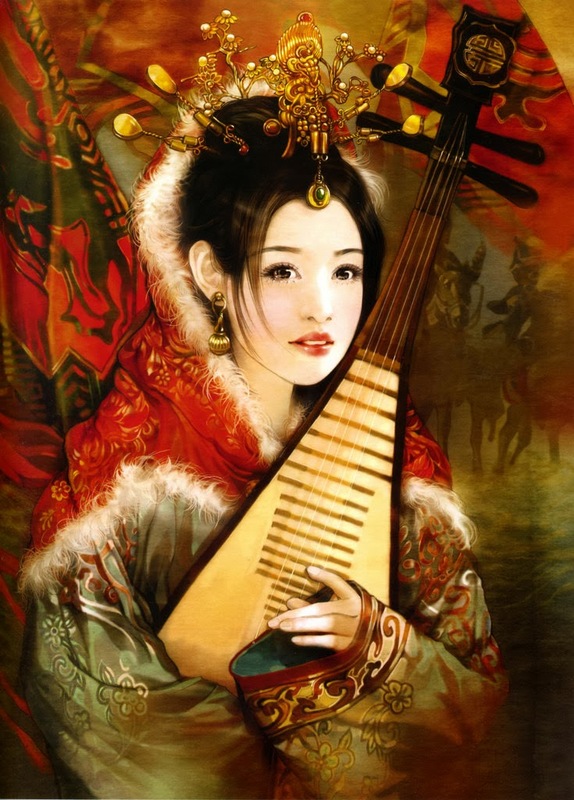 The aforementioned female spy is Xi Shi, the first of the Four Greatest Beauties of Ancient China. The Emperors of China were quite notorious for their lavish lives, especially when it came to the sheer number of court ladies in the palace. The number 3000 was but a representation, in fact during the reign of Emperor Xuan Zong (Lady Yang's husband), it is said that he had 4 million ladies in the palace! Well, with such a staggering number, it was really hard to get to know them all personally. Besides, the camera was yet to be invented. But Emperor Yuan of the Western Han Dynasty(206BC-8AD) had just the perfect solution for it. He employed artists to draw portraits of the beauties, which would be presented to him. He would then select whom to favour based on the portraits. It was the perfect chance for the artists to earn a fortune. The palace ladies, eager to win the emperor's favour, bribed the artists so that they could be painted in a more flattering manner. Talk about manual photoshop. Things were going great for the artists, that is, until Wang Zhaojun came along. It was hard being a woman in Ancient China. Nor did being beautiful help much either, as there was a Chinese saying, “Beautiful women are often unfortunate/short-lived." A beautiful woman may be promoted to a higher station by winning the favour of the emperor or a high ranking noble officer. However, such beauty may even earn envy, and even ultimately death. Beautiful concubines often became the scapegoat for an emperor's foolery and even a nation's downfall. Perhaps such is the life of Yang Guifei, who, after a life of luxury, was strangled to death in the midst of a rebellion. 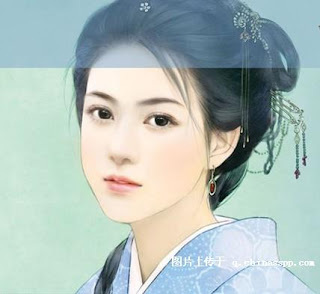 This story starts with the death of another woman, Emperor Xuan Zong's beloved concubine Lady Wu in the year of 737 A.D. The Emperor was deeply saddened, and none of the beautiful court ladies could entice his interest. His favourite attendant Gao Lishi was anxious to please him. He sought beauties from far and wide, but none of them could lift the Emperor's mood. Rumours about the extraordinary beauty of a particular lady came to the emperor's ear. He decided to summon her, and was stunned by her extraordinary beauty. She was so lovely, that the other ladies dulled in comparison. The emperor was smitten. He decided to make her his concubine by hook or by crook. The aforementioned lady was from the Yang family, with the name of 'Yu Huan'. (Literally 'jade bracelet') She was orphaned at a young age, and was brought up by her uncle who was a minor court officer. She was later listed as one of the 'Four Greatest Beauties of China'. Site is wholly owned by Celine Wan and Xuelin Yeong. Credits to various sources of info. Simple theme. Theme images by badins. Powered by Blogger.